A Marine corporal who received the Silver Star for actions taken in Afghanistan is set to receive the Grateful Nation Award Nov. 15 in Washington, D.C.
Cpl. Daniel Hickey will receive the award, presented by the Jewish Institute for National Security Affairs, for heroic actions taken in 2008 while serving in Afghanistan with 2nd Battalion, 7th Marines. On Aug. 2 of that year, Hickey was on mounted patrol when his unit came under a vicious enemy ambush. After Hickey’s vehicle commander dismounted to repel the ambush, he was struck by machine gun fire. Hickey braved a hail of bullets and rocket-propelled grenade fire to drag the vehicle commander to cover when their vehicle machine gunner was also struck. “… Hickey knelt in place, sighted in on an enemy machine gun and rocket team and engaged, killing several fighters as they prepared to fire on his patrol,” his citation reads. 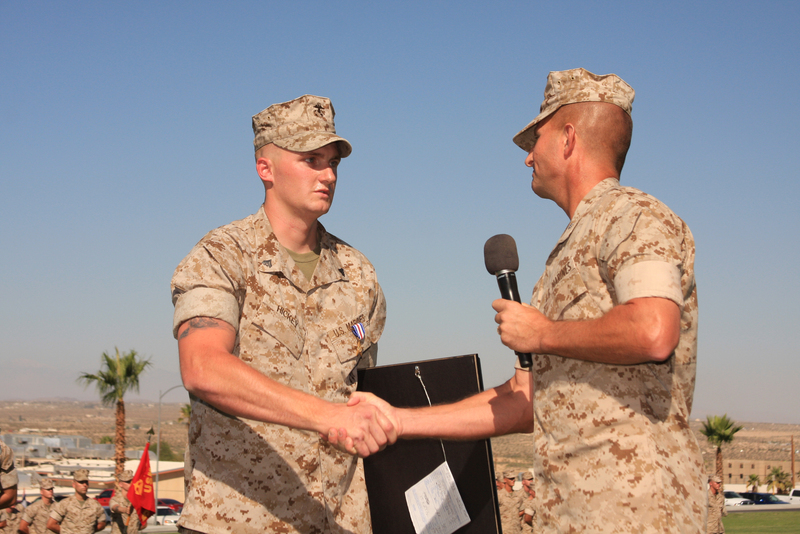 Hickey received the Silver Star for his actions in Afghanistan on July 16, 2010. Now, he will receive the Grateful Nation Award, which singles out “six young heroes recognized for having distinguished themselves through superior conduct in the War on Terrorism,” according to the organization’s website. One is given to a member of each branch and another to a special operator. This year the award will be presented by Marine Gen. James Cartwright, Vice Chairman of the Joint Chiefs of Staff. The cost of school is without a doubt going to go way up due to to the Tea Party candidates chopping education from their budgets leaving the universities no alternative but to increase tuitions, what a gang of jerks.